Learn how to keep a healthy and viable flock or hobby herd. Whether you are interested in future sheep keeping or currently own sheep and are looking for the skills and knowledge to maintain a healthy flock this course is for you. Our sheep husbandry course focuses on all aspects of animal husbandry, including nutrition, health essentials, parasites, seasonal requirements, grazing and stock management, handling and restraint, learning and practising methods of medicating including all essential injections and drenches, teeth checking, feet clipping and veterinary intervention as well as hands on training. We end the day with a small exercise in Sheep agility - who said sheep were stupid? This course sets itself aside from others giving you the skills, practical experience and understanding to apply to your own flock? Combine your course with a trip to the Pyrenees mountains, Atlantic coast or pop over to Spain! Local accommodation is available, please mail for details. Gift vouchers are now available for this course. Courses are held on Fridays, Saturdays and Mondays please go to the contact us page to mail for details and availability. 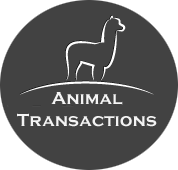 For full details about our animal park visit www.lamaisondeschameaux.fr .